Approximately 150 Special Olympics bowlers from across the Rio Grande Valley came together at Creasey’s Bowling in Harlingen this Monday, October 31, to kick off their bowling competition season. 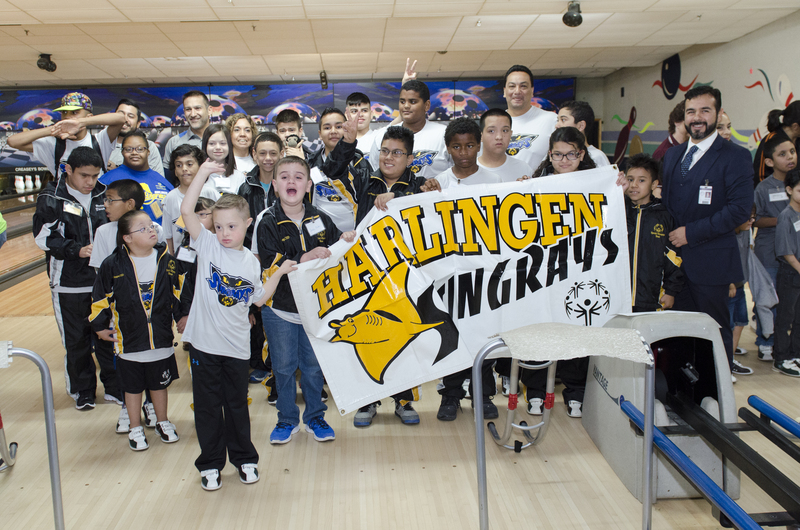 HCISD’s Harlingen Stingrays were among the many teams to compete at the Area 1 Special Olympics Bowling Competition. The event also saw competitors, ages 8-15, from San Benito CISD, Raymondville ISD, Rio Hondo ISD, Lyford ISD, Mercedes CO-OP, and Educare Harlingen. At HCISD there are about 53 athletes that participate in Special Olympics, those of which are divided into different age groups from elementary through high school. In addition to bowling, students also have the opportunity to compete in basketball and track. With the mantra, “Let me win, but if I can not win, let me be brave in the attempt,” HCISD’s five Special Olympics coaches help students develop their skills so that they may compete at their best. Cavazos states that he continues to be amazed by the students that he works with. He continues that his students never let their limitations stand in their way. These students instead leave their disabilities in the dust. Next up for the team is the Area 1 bowling competition for students 16 and older to be held at Creasey’s Bowling in Harlingen on November 7. Special Olympics Texas is a year-round movement, holding more than 300 competitions annually on area, regional and state levels. Event divisions are based on age, gender and ability level to give athletes an equal chance to win.